This Christmas I took part in two very exciting swaps! Lakota’s Faith Hope and Charity Swap and Ellie’s Pretty Much Penniless Second-hand Secret Santa. A big and warm thank you to these two special blogging friends for organising the swaps and ensuring everything ran smoothly. My swap package from Susan at Tea Diary. 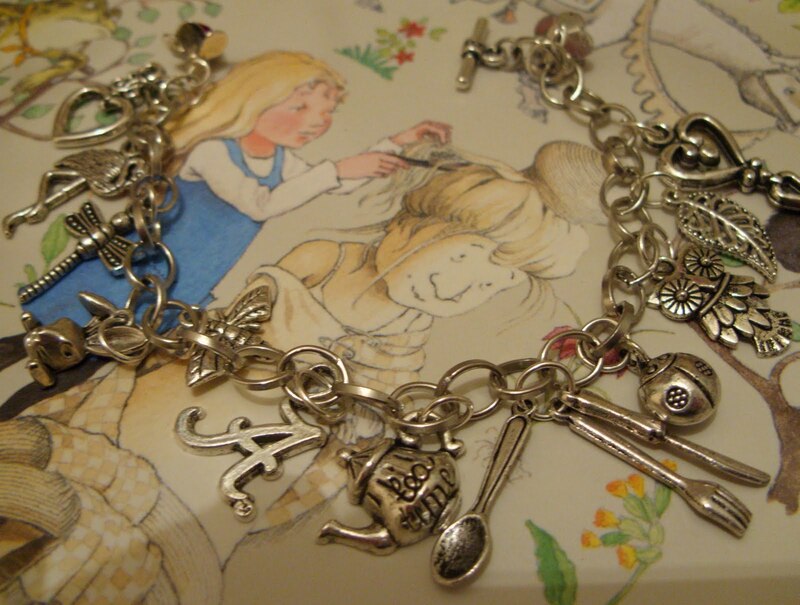 I was delighted to find this charming Alice in Wonderland charm bracelet! Alice by name, I am always touched to receive anything wonderland themed. 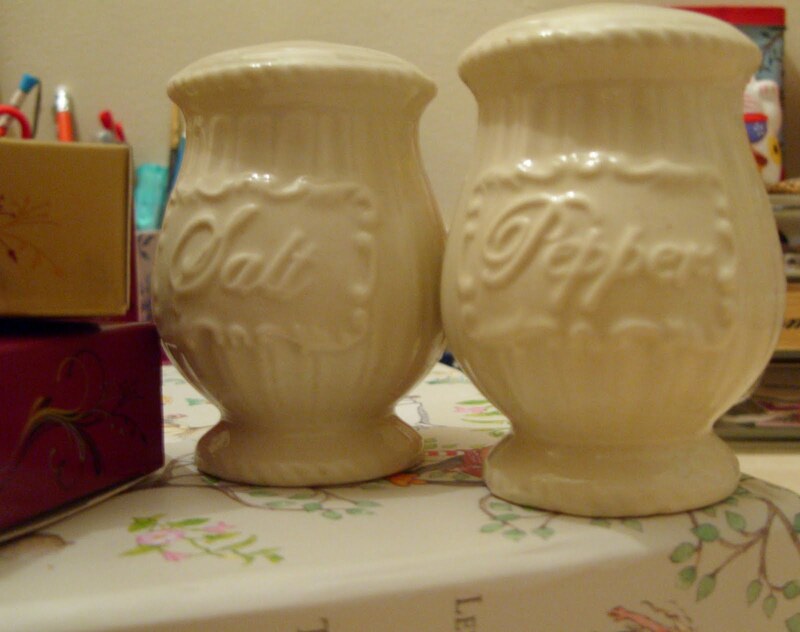 She also managed to track down these lovely shabby chic salt and pepper shakers, which match my shabby sweets jar I picked up a few months back. 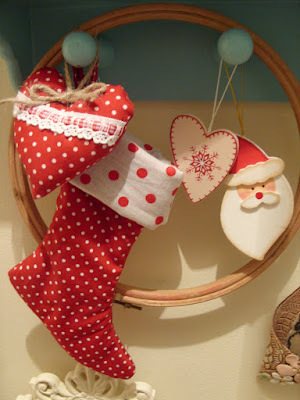 I was also absolutely thrilled to receive these adorable handmade and wooden decorations. I just know I will go on to treasure these for years to come. My Second-hand Secret Santa was a wonderful surprise. I wasn’t quite sure what to expect, as knowing my parcel was anonymous had me guessing what I would receive. Given my love and devotion to children’s fiction, my parcel contained two children’s classics in Mog the forgetful cat and the dragon that squeaked. 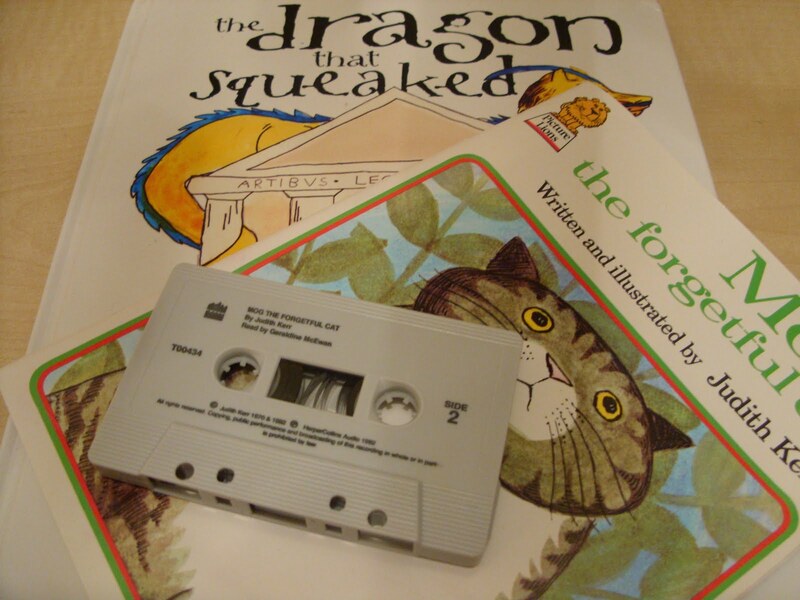 I was also thrilled to see the taped version of Mog the forgetful cat attached, I don’t actually own a cassette player, but sure will be looking out for one at next year’s car boot sales. I always think handmade gifts make for the best presents, as the time and love that has gone into making them always outshines those mass produced. This framed A embroidery sure did enchant me and it’s sure enough found a home in my craft room. And the handmade salt dough heart decoration was a welcome treat too. What fabulous gifts you lucky thing! Such wonderful swap goodies! The Alice in Wonderland bracelet is amazing, all the charms are so cute! 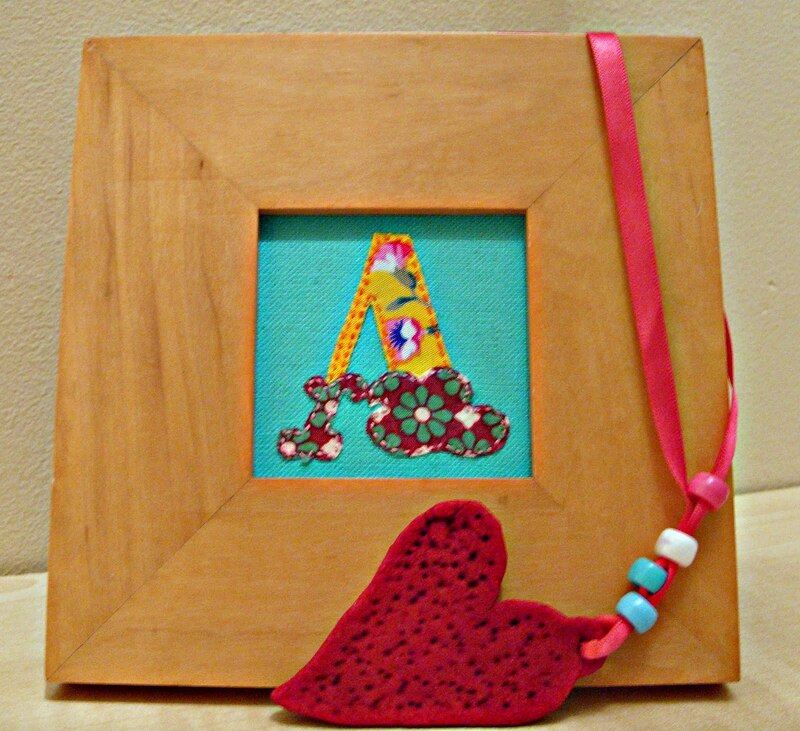 Wow, I love the handmade gifts. Something very special about them. How I remember the Mog stories so dearly! Gorgeous things and yes, hand-made gifts are the best! Hi Alice, it's your Second Hand Secret Santa here. Great swap gifts, I love the decs and Mog is a favourite in this house. You need to find yourself an old walkman. I loved the one I had years ago, it was baby blue and pink. I love the handmade gifts the alice in wonderland bracelet is amazing all the charms are so cute.